With the way tips are shared across the internet and my pour memory I can’t give credit to who thought of this tip but I wish I could say I thought of it. 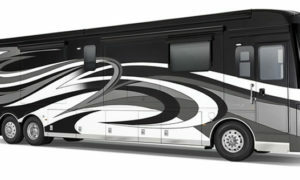 Do you have an older RV or vehicle with black plastic trim that is faded and gray? Try Kiwi shoe polish. 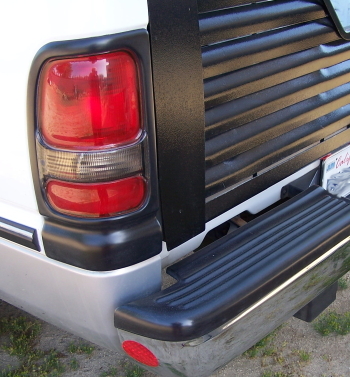 When I first heard about it I was skeptical but I have tried so many other products to ‘restore’ the plastic trim on my truck that didn’t work I thought why not try it? I do have to say that I had mixed results but overall I think shoe polish works pretty well. Much better that the other products. 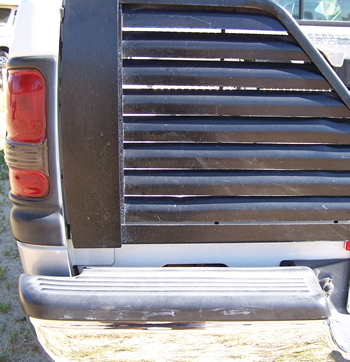 The bumper trim on my 1996 truck was in bad shape, part of the trim was gray and the part that was still black was dull. It took three applications over three evenings to get it looking reasonably good but it needs a couple more coats of polish to even out the shine… it’s an old truck. I had much better results with the plastic trim around the taillight assembly. I think because that plastic is different… harder… it only took one application of the shoe polish to bring it back to like new condition. I believe the shoe polish works so well compaired to the other products I’ve used is because it has pigment as well as polishing agents. It’s been several days now and the plastic doesn’t show signs of fading but I’ll try to remember to let you know later how it’s holding up. Special Note: This post marks the first from the new WordPress website. I’ve already had a couple of glitches in the transition and no doubt I’ll have more in the next few days as I work out the bugs and learn to use the new posting system. I want to thank you in advance for your patients. Some things Your RV guests should know. What is Diesel Exhaust Fluid (DEF)?